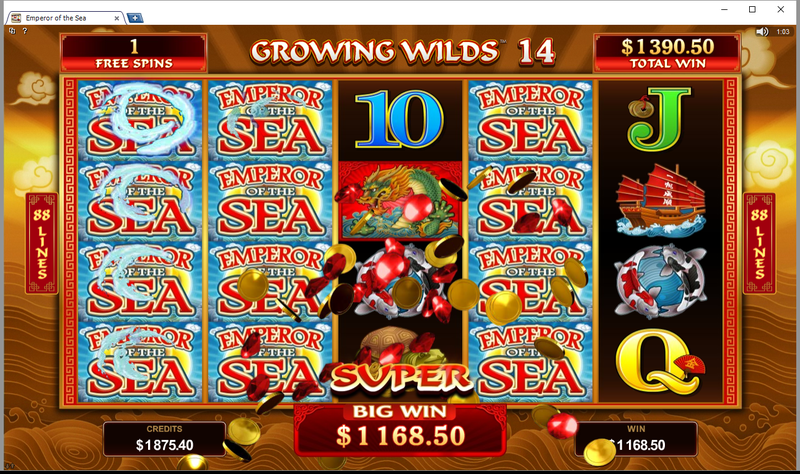 I had been enjoying (and enduring!) 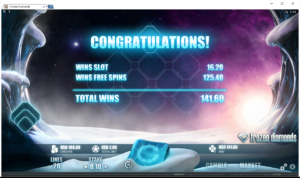 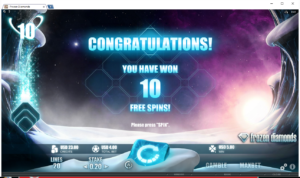 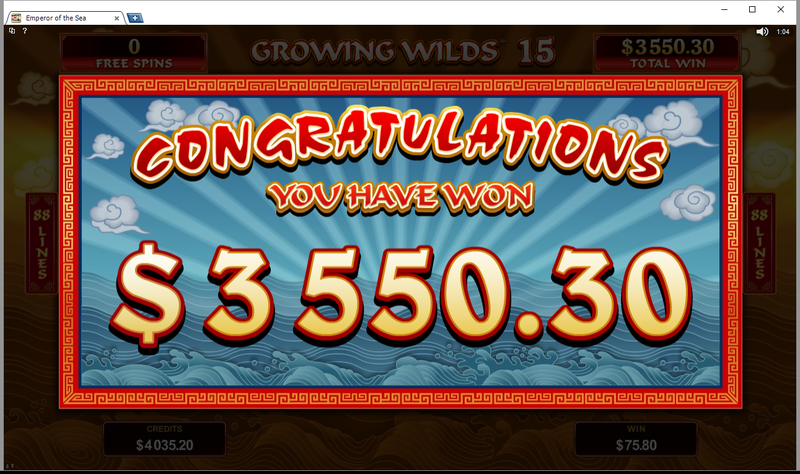 playing this game since it was released last month (March 2017), and had achieved the free spins feature quite a few times and also had a few good wins with the stacked wilds. 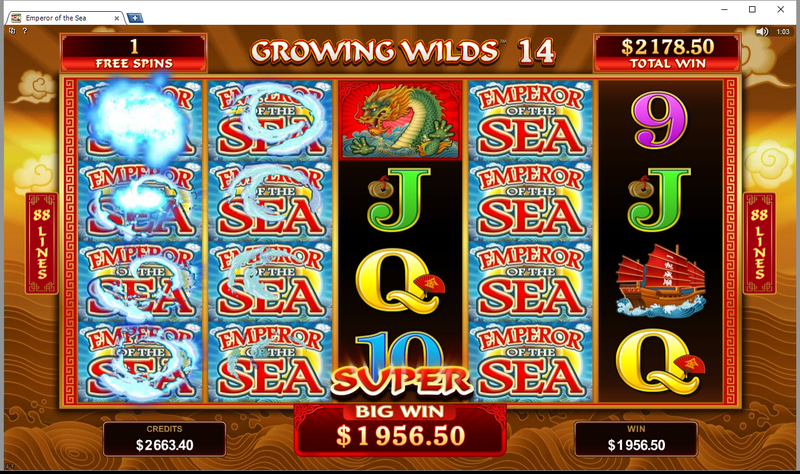 I say “enduring” as it did take a while to win something so big BUT I did have plenty of chances to take very reasonable wins but I wanted to see if I could hit something really big — and after a few sessions swapping back and forth I got something real nice! Imagine my surprise when they both happened at the same time and I hit 2 massive wins within 1 spin (due to the Rolling Reels™ during free spins). 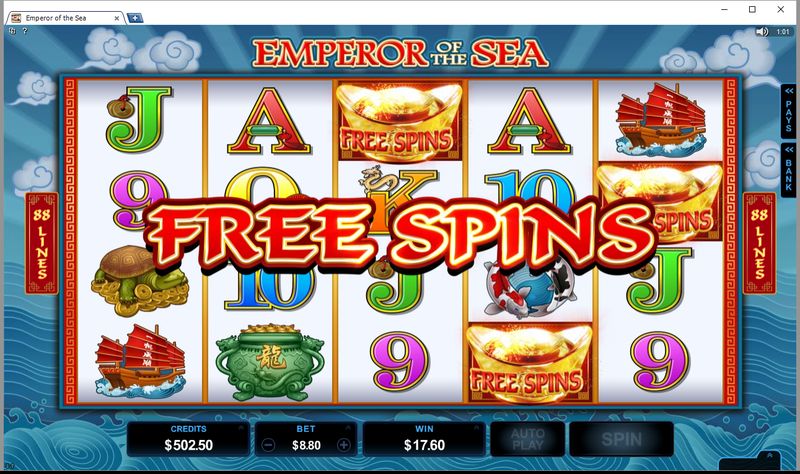 Play Emperor of the Sea at any of the Fortune Lounge Casinos. 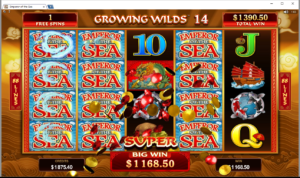 There are a number of different casinos within this group (see below for examples). 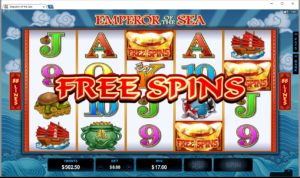 This slot has an Asian theme with 5×4 reels, a choice between three lucky selectable payline options (28, 68 and 88), colourful graphics, soothing Asian-themed music and other amazing features. 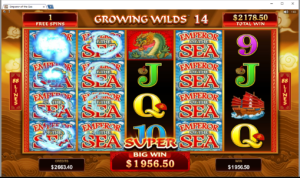 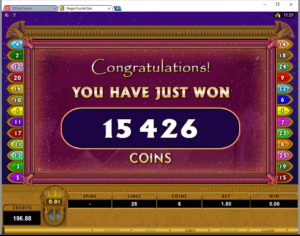 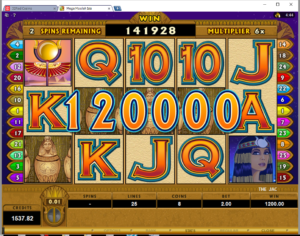 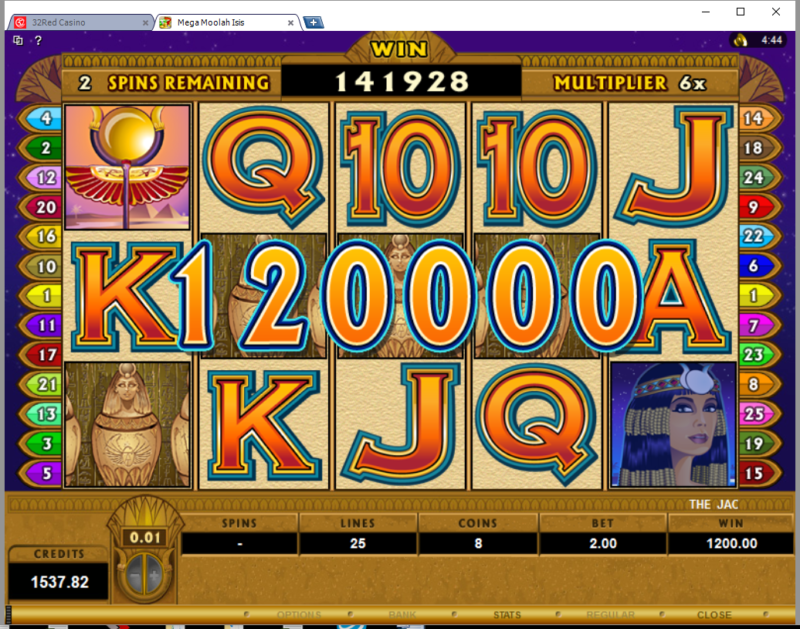 Land 3 or more Scatter symbols, and you will automatically be rewarded with 8 Free Spins. 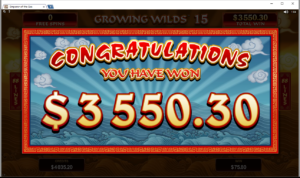 The feature includes the popular Rolling Reels™, which will award multiple consecutive wins and Growing Wilds™, which causes Wild stacks to increase by 1 after every spin to a maximum of 15 Wilds. The Wild symbol will substitute any of the symbols except the Scatter symbol, and the stacked Wilds will appear in the Base Game and in the Free Spins feature. 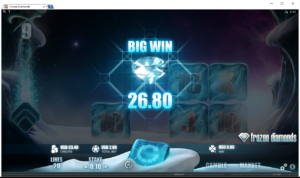 The Scatter symbol wins will multiply by the total bet staked and will also add to the Payline wins. Remember, when you land 3 or more Scatter symbols in any position, you will land yourself some Free Spins. Go sailing with the emperor as you search for big winnings at any casino with Microgaming slots. 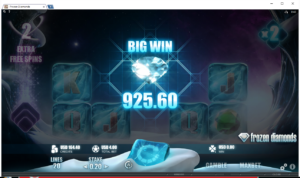 Note: The screenshots of wins were when I was playing on my US dollar account at 32 Red Casino as Fortune Lounge does not accept UK players at the time of posting. 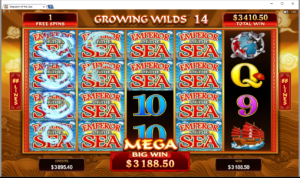 However the odds of winning on any particular game are the same at all Microgaming Casinos.